One day in 1981, a group of six teenagers were playing in the hills of this sleepy village when a vision appeared to them. This apparition gave them a special message that was to be shared with all believers. The news of this vision spread quickly and soon believers started coming to this village to hear of this message. 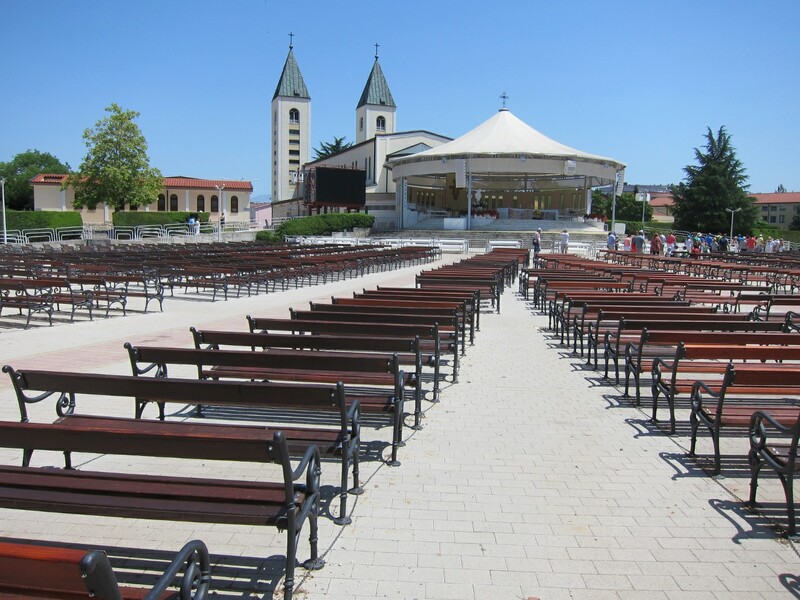 At the same time, the apparition continued to appear to the teenagers at various times and now years later, Medjugorje has become one of the most visited sites by Catholics in the world. 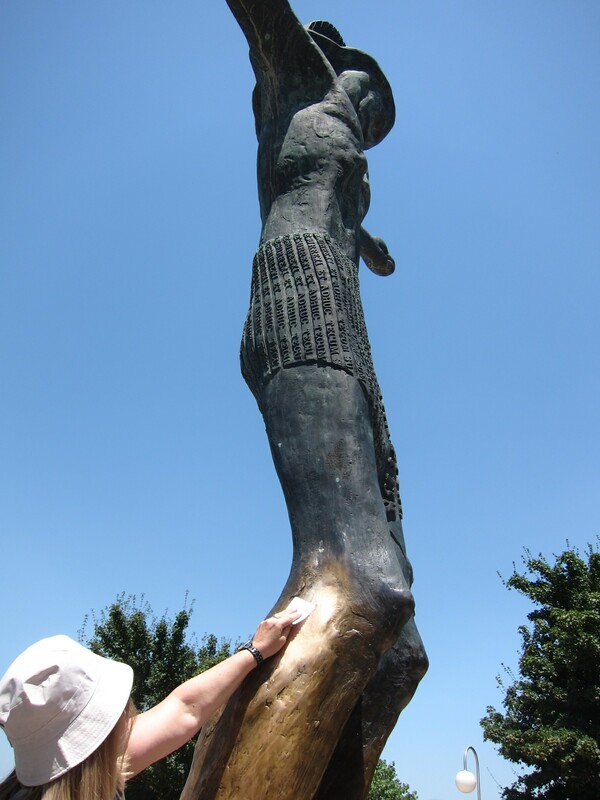 Estimated at over 15 million visits, this is an extraordinary number by any standard. Despite the debate about the authenticity of the appearance of Mother Mary, Catholics continue to visit unabated – spurred on by testimonies and miracles. 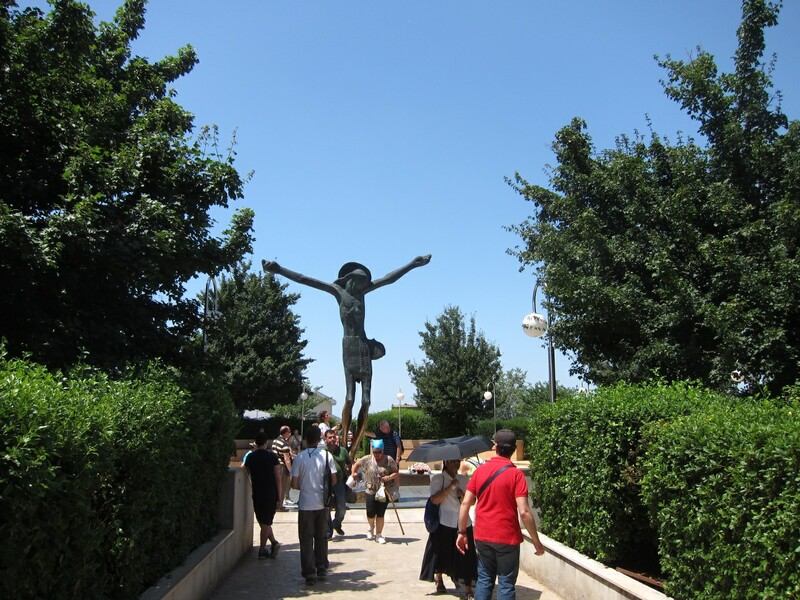 Our visit to Medjugorje, did not start as a pilgrimage but certainly felt like one in the end. The day we came was an especially hot one. Driving in from Dubrovnik, we arrived around lunchtime which was probably the hottest part of the day. After lunch and walking around the church, we realised that climbing the Hill of Podbrdo or simply Apparition Hill was going to be a challenge. Little did we realise how tough it was! The hill is certainly not one that we have experienced before. There are no steps and the path is only roughed out. 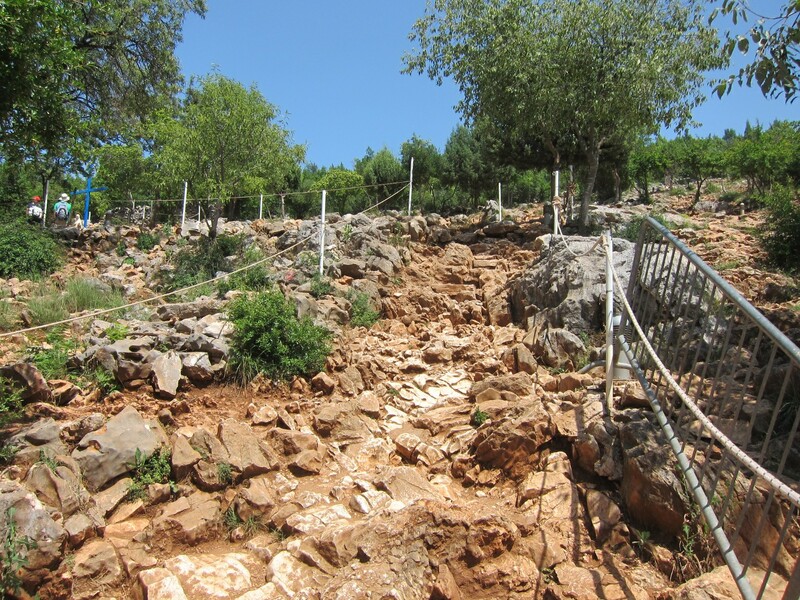 To make it worse, it is steep and terribly rocky with sharp stones everywhere. I was glad we came prepared with proper footwear. Even then stepping on the stones and rocks was testing on the ankles and feet. (Deaths have occurred over the years with visitors slipping and falling on these rocks and sustaining fatal injuries). So, we took our time which meant enduring the scorching heat. Without much shade anywhere on this rocky outcrop, I marvel at how some of the elderly pilgrims manage this hike. After a deserved rehydration stop, we were more than happy to jump into our air-conditioned vans which Petar kindly kept running. 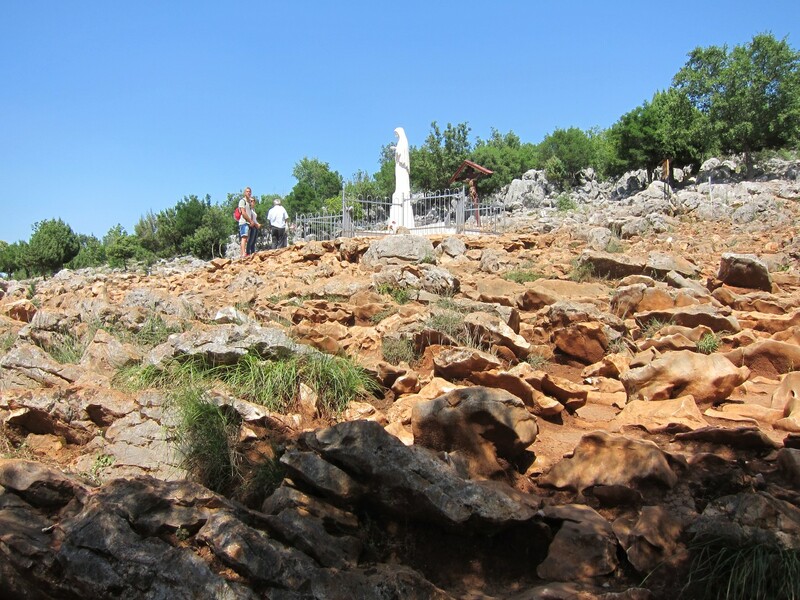 He said we did good and although one of us may have had a mild heat stroke from the climb, we certainly felt we did Medjugorje justice. Whats unique about it is water drips from the knee. It just started one day and has been going on ever since and no one really knows why.